He took his Broadway show to Canada's capital city and skated away with three goals, four points, MVP honours and plenty of rave reviews. It was indeed a great performance by Marian Gaborik at the recent All-Star Game in Ottawa, but certainly not an unexpected showing by one of the game's elite offensive stars. Playing on Team Chara, Gaborik, who had 25 goals heading into the All-Star break, was voted MVP of the 2012 contest, as chosen by members of the Professional Hockey Writers' Association. The New York Rangers forward recorded the 16th hat trick in NHL All-Star Game history, all by 1:23 of the second period, and recorded an assist on Chara's game-winning goal in the third period of Team Chara's 12-9 victory. Gaborik also fashioned a +3 rating and six shots on goal. The first two of Gaborik's three goals came in the first period against Team Alfredsson goaltender, and his Rangers teammate, Henrik Lundqvist. Gaborik, who was named to his first NHL All-Star Game in 2002-03 and won the fastest skater competition, lapping the rink in 13.713 seconds, also had some fun scoring on Lundqvist, something he admits isn't an easy feat, in practice or game conditions. Lighting the lamp has never been a problem for Gaborik, who spent eight seasons in Minnesota (he's their all-time leading scorer in goals, assists and points) before signing with the Rangers in 2009. He turned heads in his rookie NHL season in 2000-01, scoring 18 goals and 36 points for the expansion Wild. The following campaign, he notched his first 30-goal season and also recorded his first NHL hat-trick near the beginning of the season. In 2007, Gaborik recorded a six-point game against the New York Rangers with five goals and an assist, making him the first player in Wild history to score five goals in one game. One year later, he appeared in his second All-Star Game. Gaborik, who'll turn 30 on Valentine's Day, is showing no signs of slowing down, a player whose lethal combination of speed, skill and finesse continues to make him a constant scoring threat every time he touches the puck. He'd love nothing more than to get another opportunity to contest for the Stanley Cup. Gaborik has been to the playoffs on four occasions, including a nine-goal and 17-point total over 18 games in the 2002-03 post-season. Last year, the Rangers were ousted in five games in the Eastern Conference quarter-finals at the hands of the Washington Capitals. One season earlier, New York failed to qualify for the playoffs and in 2008-09, lost a seven-game set in the opening round, also to the Capitals. In 2011-12, the Rangers find themselves in the upper echelon of the East, one of the most consistent teams in the league. 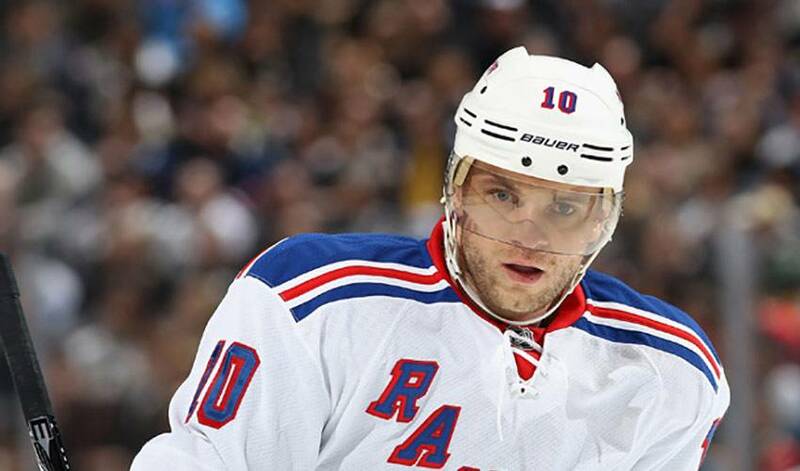 Gaborik is hoping a strong second half will give New York a boost once the curtain rises on the post-season. That was once again evident in Ottawa less than a week ago, when one of the sport's world-class players put on another crowd-pleasing show.